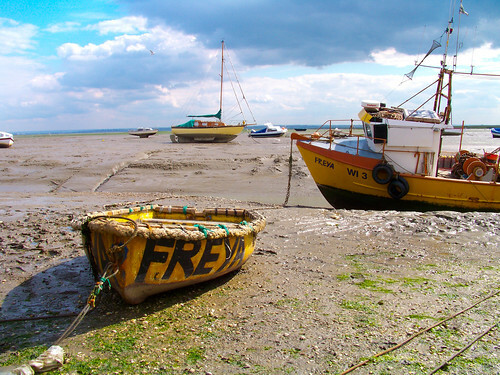 When arriving in Leigh-on-sea the tide was low and I had the opportunity to get some shots of the landscape. Full of stranded boats, the whole scenery was very unique and interesting. ~ by Thomas Euler on 12/08/2009.